AAA. Authentic storytelling makes a comeback. Remember those long distance commercials from the 90s that left us with a lump in our throats? The long-lost daughters calling home to dad. The couples reunited across seemingly uncrossable distances. The embarrassed TV watchers swiping tears from their cheeks? What made them compelling was the story. The archetypes welling with happy emotion. The everyday hero stories that we all want to be a part of. In an advertising environment of dropped calls, sweaty athletes and gloriously glossy hair follicles. AAA responds with their own everyday heroes; with compelling, authentic stories that we can all see ourselves in. The campaign - from AAA Ohio and SBC Advertising - launched this month. It's told from the perspective of real tow truck drivers. 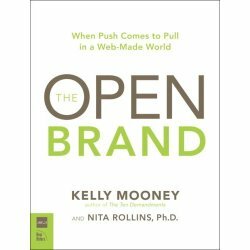 But delivers something much larger: the story of their brand – literally, the true essence of service and membership – found in neighborhood driveways, in busy parking lots and in the cabs of tow trucks, with real people just talking about their jobs. AAA is up against two of the toughest challenges aging brands face: commoditization and sinking relevance. People think: Oh, I already have this with my insurance or new car. People think: My car won’t break down. I don’t need it. Keeping ahead of the market, AAA aimed its operations and marketing strategies at refreshing the market perception of AAA. 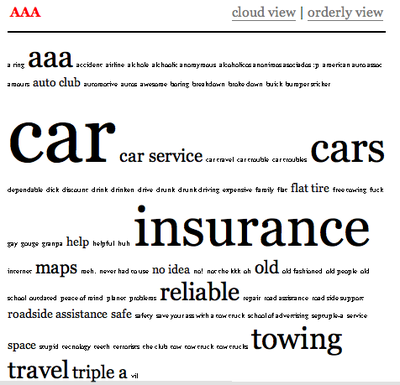 Marketing: Anyone in any car can need AAA. The most common calls aren’t for breakdowns, they’re for keys locked in cars, dead batteries, flat tires, etc. You can see the results in this campaign. It shows that members are as likely to call for everyday goofs as real emergencies and demonstrates that most problems are fixed on the spot - no need to tow. But, more than that, it brings to life a level of service and community that I hope will define the brand going forward. Happily, though, I have one less unmet obligation to feel guilty about - as Eric Kintz's recent article 'Why Blog Post Frequency Does Not Matter Anymore' has brilliantly validated my eclectic posting and reading pace. 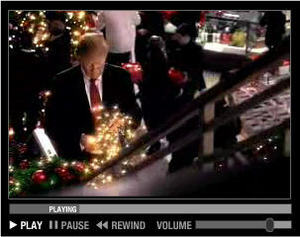 The Macy's holiday TV campaign is absolutely infectious. I love that a department store invested in it - a strong strategy to move from forgetable 'infrastructure' to flat-out memorable brand in the retail sprint to the holiday. While I personally get what Agency Tart is saying about the new Guinness experience site, I've got to step back and think about the target ... which is decidedly not me. So, yeah, DIY showmanship - very manly beer drinking stuff. And probably an ideal app for the audience. Elsewhere on the Web, Stella continues to one up Guinness when it comes to relevant, long-lasting, experience marketing. Guinness hung a sign in every bar. Stella put a glass in every hand. Guinness created a cool microsite. Stella revamped their main site to be a sticky, fully engaging, multimedia video game of an experience. Oh, and they told their entire brand story in the context of some of the best gaming graphics on the Web.